Two (2) Weigh Modules and a Scale Control/Indicator. Scale module cable connector is protected by a 1/4" welded steel barrier. Although cable connected elements have received criticism, the SEKO cable system successfully reduces probability of cable hang-up. In addition to reduced possibilitiy of hangup, should a cable be damaged, the scale module and cable are specifically designed to make replacement of a damaged cable fast and simple. 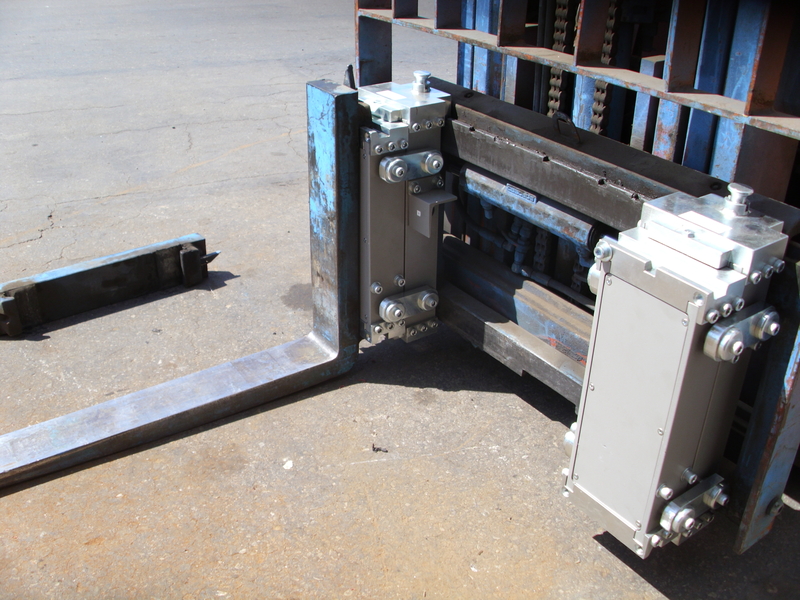 The SEKO Forklift Scale system can be very economical as a cable-connected system.